Conrad Reeder contemplates a jump into the abyss. “I’d lost my home and Roger. Dying didn’t seem like such a bad idea.” Instead, she breathes in the beauty of Hawaii, her new home, and writes about her life with Roger Nichols, John Denver, Paul Rothchild, her career, her parents and the resurrection of Goddesses. Will she jump? A year after the untimely death of 8-time GRAMMY winner Roger S. Nichols from cancer, his grieving widow, Conrad Reeder, has a vision dream about sitting on a ledge, contemplating a jump into the abyss. “I’d lost my home and Roger. Dying didn’t seem like such a bad idea.” Breathing in the beauty of Hawaii, her new home, Reeder writes about her life with Roger, John Denver, Paul Rothchild, her career, her parents and the resurrection of Goddesses. 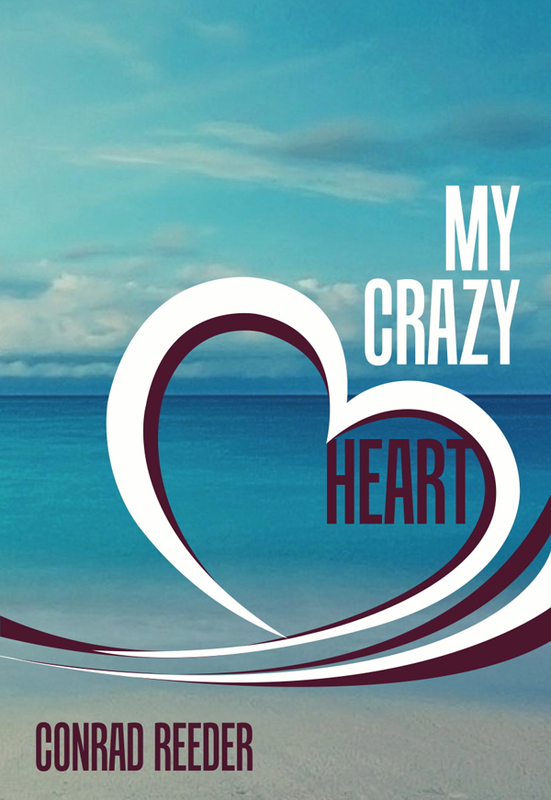 My Crazy Heart weaves one woman’s story about searching for ways to survive after great loss. In the silence, she hears echoes of the feminine divine in the illuminating words of Joseph Campbell, Marija Gimbutas, Dalai Lama, Sappho, Ginette Paris, James Hillman, Queen Lili’uokalani, Virginia Woolf and more. Conrad Reeder has a MFA Creative Writing in Film, Theater and the Communication Arts from the University of New Orleans. You can purchase the book online from Smashwords in multiple eBook formats at https://www.smashwords.com/books/view/446502.